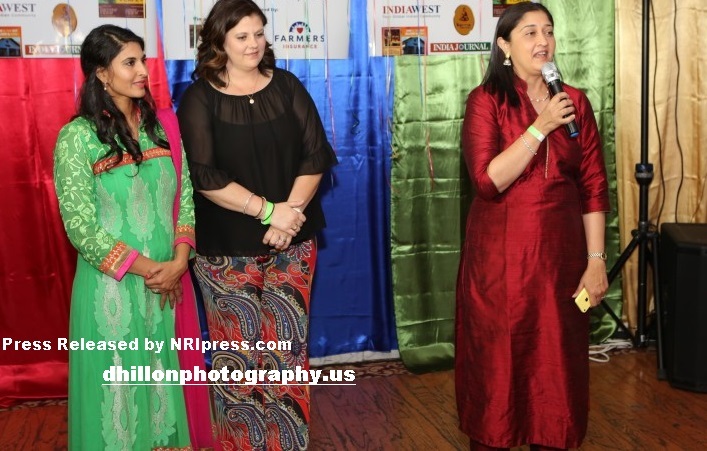 On March 28th, 2015, two hundred thirty citizens of the greater Los Angeles Area came together in a charity event called ‘Musical Masti’ benefiting It’s a Sensory World!. Royal Delhi Palace located in the San Fernando Valley graciously housed the event which was hosted by Vimal Kumar Sood of Farmers Insurance. It’s a Sensory World! is a non-profit center that provides educational, recreational, and therapeutic child-centered services for children with special needs and their families. As a center they are committed to creating unique programs that bridge the gap between therapy, home, school, and mainstream recreation. They provide a sensory rich and nurturing environment to children of all abilities, including those with Autism, ADHD, Down Syndrome, Cerebral Palsy, and Sensory Processing Disorders. During the night a heartfelt speech by Co-Founder of It’s a Sensory World!, Rekha Suryanarayana touched the audience as she spoke of her dream of having a place where no mother had to apologize for their child. Being a mom herself of a child with Autism she was inspired to open this center. We provide a sensory rich and nurturing environment to children of all abilities, including those with Autism, ADHD, Down Syndrome, Cerebral Palsy and Sensory Processing Disorders. At our center they strive to reach their full potential with the help of their families and our highly experienced teachers and well trained staff. Guests left this event with a better understanding of what this center stands for and how as a guest they were able to make a huge difference in not only the lives of children that It’s a Sensory World! serves but also their families who so greatly depend on It’s a Sensory World!